Flashlights today have evolved and come a long way in terms of performance, durability, efficiency and versatility. 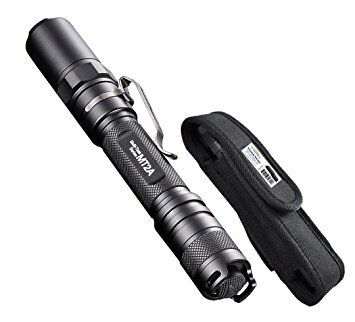 Among other variants, AA flashlights are especially popular, thanks to the ease of buying AA batteries, it’s portability and versatility. However, not all AA flashlights are built same. Some cheaper ones might be good enough for household jobs, but when you are in a tactical condition like hunting or trekking, performance can be a critical factor. Lumens – One of the most important factor to determine the performance of the flashlight, lumens are the measure of light emitted by the bulb. More the lumens, more the beam brightness. Beam Distance – It is a measure for how far the light will travel. It is important when you are going to use the flaslight outdoors. Lumens and beam distance together should beconsidered when filtering a flashlight. High lumens with short beam distance means performance similar to a flood light, whereas low lumen with long beam distance translate to spotlight kind of light. 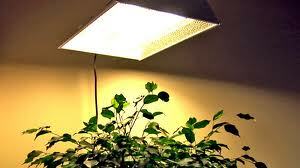 Battery Life – The run time of the battery is dependent on lumens offered as well as the efficiency of usage. Flashlight manufacturers list the battery life based on the lumens at different brightness levels. Some flashlights can run for weeks on the same battery that others might last for a few days only. User Interface – Modern flashlight offer different mode settings, for more user customization and efficient battery usage. Low power mode can save battery, when low lumen is just sufficient. Integrated memory function and preset modes are other aspect of user interface that can affect the usability of the flashlight. Material used – If you are keeping the flashlight as a backup and only rarely going to use it, a plastic one might just be sufficient. However, for more tactical and challenging conditions you need a solid aluminum or stainless steel construction, with possible water resistance and impact resistance. Size of the flashlight determines it portability. Lightweight and compact designs are portable while bigger ones are easy to find in dark. 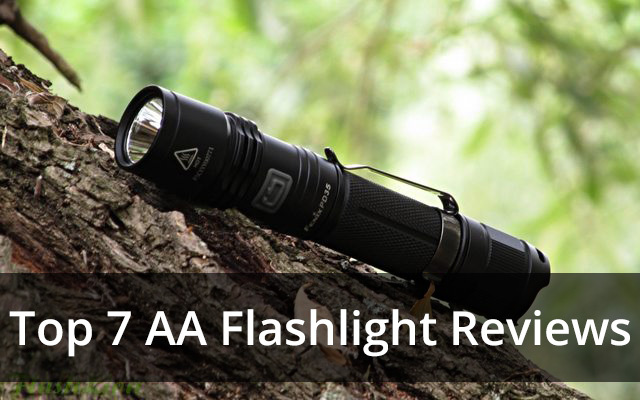 After reviewing all the best AA flashlights available in the market, we have listed here the top 7 based on customer reviews, features and performance. You should review based on the features that are important to you and we are sure, you will find the perfect AA Flashlight for your needs here. 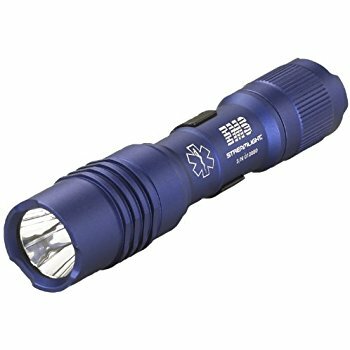 Streamlight flashlights are popular for their compact and simple design, that is meant to work, and 88034 ProTac is no different. Designed by a medical services professional, to provide optimal non-glare light for pupil and wound examination, they are easy to use even with gloved hands. They are one of the brightest and most well reviewed flashlights available today. Powers on at low beam: 3.6 lumens/runs 36 hours. Nitecore MT2A is a very compact, lightweight and high intensity flashlight. The Multi-Task (MT) series, using 2AA batteries (hence the name MT2A), offers true versatility by offering multiple combinations of brightness levels and modes. 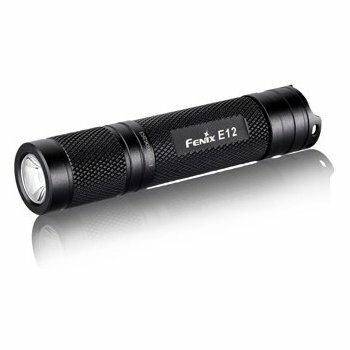 Its sleek design with superior performance makes it an ideal everyday carry flashlight. Waterproof design that enables it to work properly even when submerged in water upto 2 m.
Fenix E12 will surely surprise you with its small palm size that is packed with so much power. It is lightweight, sturdy and built to last, making it a great everyday carry. It offers great value for the price, uses a single AA battery and offers consistent brightness until the end of battery’s life. You will be impressed by the high-end features that ThruNite Archer 2A offers, at such a reasonable price. It produces good overall visibility and is very durable even when used for everyday use. One of the best single AA battery is the Sunwayman V11R for its brightness, usability and everyday carry. The variable output switch allows you to control the brightness, making it a great everyday carry flashlight and also save battery by controlling the light output. Magnetic ring that controls the brightness going from 1 lumen all the way to 190. 3 brightness settings with a beam distance of 63 meters. One of the simplest design in the market, Energizer flashlights are easy to carry and ideal for light duty tasks and personal use like walking in the dark. 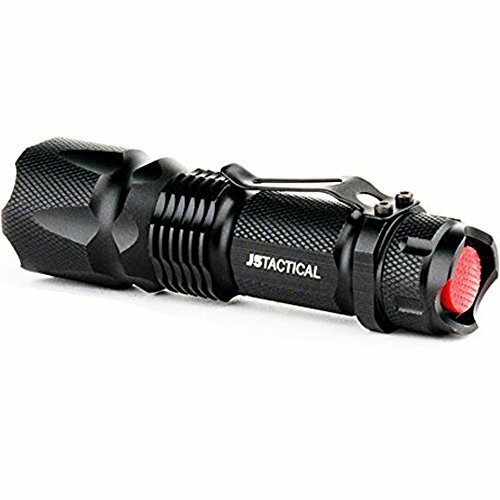 It does not offer brightness modes making it a no-fuss design, yet popular because of its high strength aluminum construction and high intensity. Don’t be fooled by the small size of V1-PRO, as it offers bright light which you can see several meters away with easily. 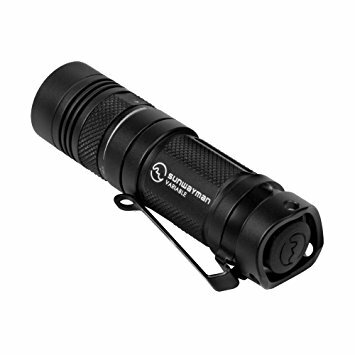 It’s lightweight, compact tactical design makes it portable while hunting and camping, providing ultra-bright LED light that runs for hours on a single battery. Though water-resistant, it is not meant for rains or underwater immersion. 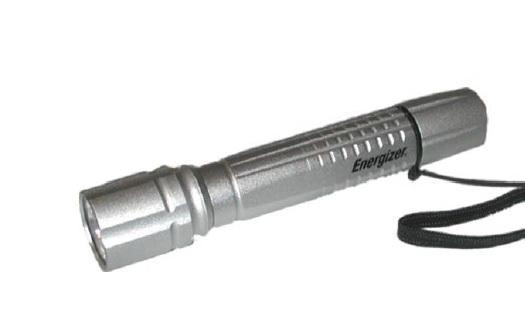 Flashlights are important tactical gears and should not be ignored or taken lightly. We are sure that our extensive review and list of top flashlights will help you make the right decision and find the flashlight that perfectly matches your requirements.